Here are a few photos of one of these Hopper Topper walkways. The first couple photos show just the walkway as it is supplied in the package. The other photos show the walkway resting on one of the KcKean Hopper Toppers. There really isn't any major work required to add the walkway to the model. 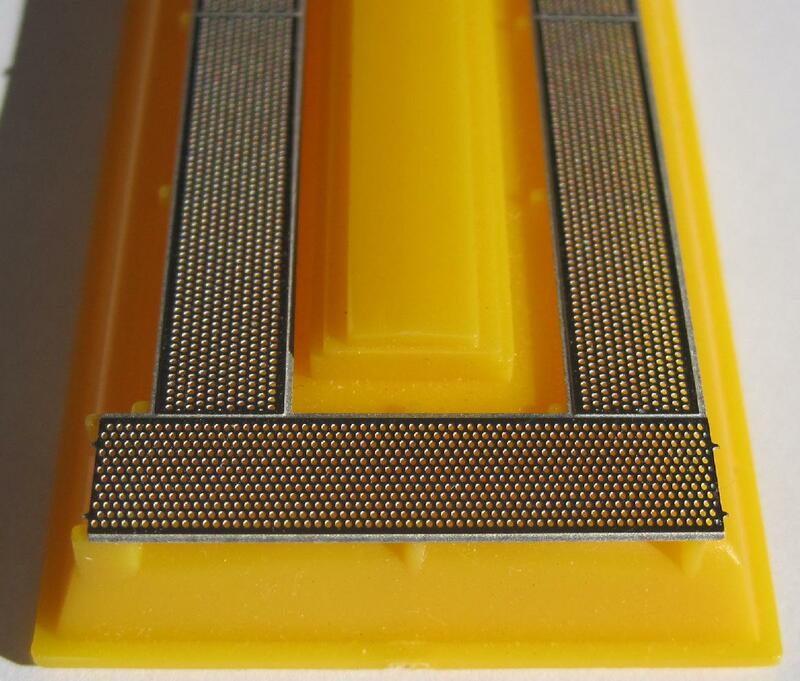 If you have a model that has the plastic walkway glued on, you will need to carefully remove it. Hopefully it will pop off with a little persuasive prying. If not, maybe a razor blade just under the walkway will cut it loose. A quick filing of the supports for straight and even surfaces for the new walkway to rest on. A little barge glue and canopy glue on each support will hold the new walkway.